Pollution Control Equipment – Catalytic Products International, Inc.
VOCs and HAPs cause serious environmental and biological damage resulting in smog, acid rain, carbon emissions and global warming, but they are reduced or eliminated by air pollution control equipment. Airborne pollutants pose serious health risks ranging from mild irritation to severe allergic reaction and would be much more rampant without pollution control equipment. To combat all types of harm done by high emissions several regulatory agencies such as the EPA encourage and require the use of air pollution control equipment and monitors to ensure levels are maintained at a healthy level. Though such restrictions are not limited to industry, manufacturing processes often result in the emission of harmful byproducts such as hydrocarbons, solvent fumes, and halogenated and hazardous air pollutants that should not be released into the atmosphere or encountered by the general population. Pollution control equipment is used in varying degrees in commercial and domestic settings as well as automotive, medical, printing, biological research and many other industries. As different processes and situations produce differing toxins, odors, and other airborne particulates, different types of pollution control are needed to maintain the proper cleansing of an air stream. The type and amount of pollution produced or present in a given environment should be considered when choosing the proper apparatus. Pollution control equipment, also referred to as emission control systems, generally involve particulate and contaminate removal through filtration, absorption, extraction or a combination of the three. 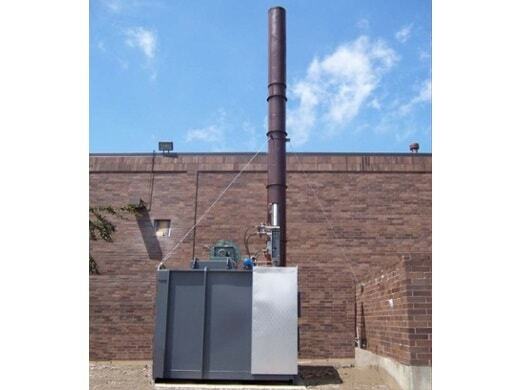 Wet scrubbers, air scrubbers, electrostatic precipitators and mist collectors are common industrial tools which utilize multiple pollution control techniques. Oxidizers, however, employ a more singular technique by heating process air to the point at which contaminants break down. Air filtration systems are often used alone, but may also serve as pre-filters or post-filters to all other processes in order to optimize efficiency. Efficiency is one of the most important factors to consider when selecting large or small equipment for the reduction of air pollution. 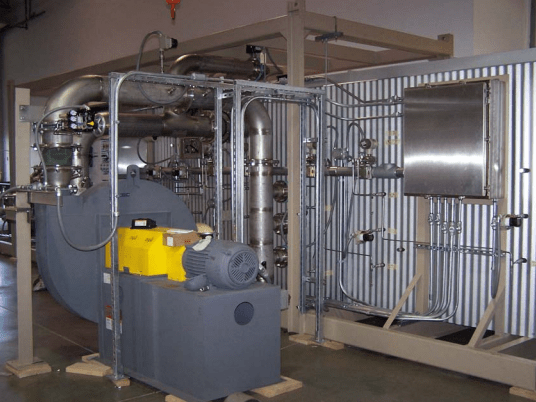 Heat recovery systems may be employed in those systems that use heat in order to increase efficiency and reduce the operating cost by recuperating much of the heat energy produced during use. The ability to remove contaminants with a high success rate is integral to meeting federal, state and local laws regarding emissions from factories to automobiles and all things in between. Though eliminating air pollution at the source is integral to achieving clean air standards, pollution control equipment is also needed to control and remove contaminants that have already been released into the environment. Pollution Control Equipment Pollution control equipment removes and eliminates a wide variety of pollutants, known as volatile organic compounds (VOCs) and hazardous air pollutants (HAPs), including sulfuric fumes, gasses, odors and vapors from the atmosphere.